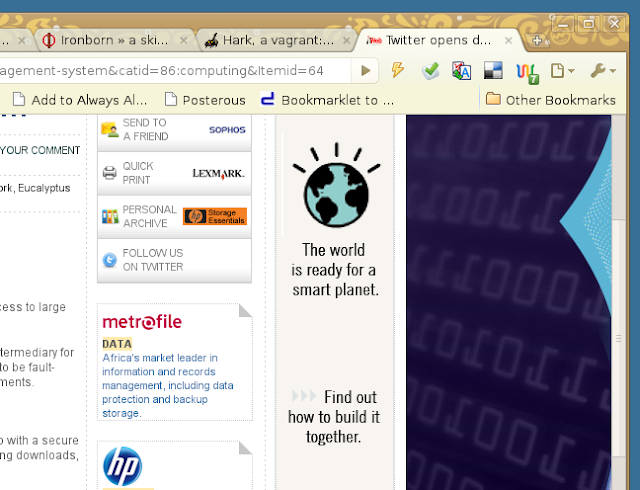 Bad UX or Bad Advertising? Have you ever had the situation where you can't tell if an annoyance on the part of some software is caused by bad user experience design or bad marketing decisions? Of course, we could make a case that all marketing decisions are, by definition, user experience decisions. Still, I am left to wonder today when I made the usual move to click on a webpage background to focus my browser and inadvertently clicked on an advertisement I was not interested in. 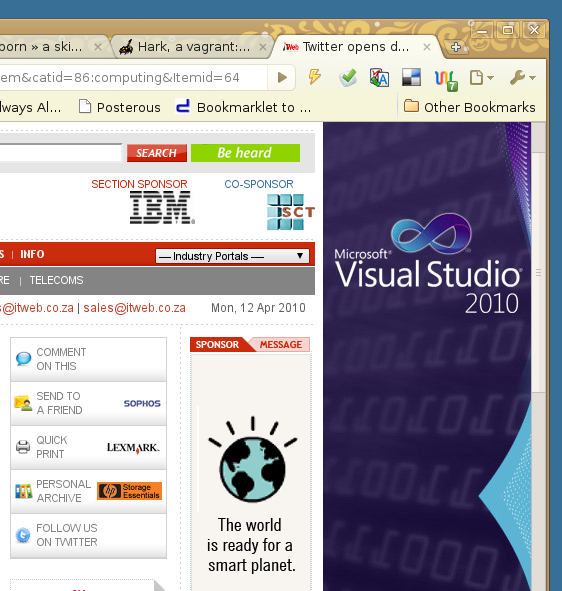 Oh, you sneaky sneaky Visual Studio 2010 ad! I'd say it was a bad UX decision made by marketing. But that is, of course, redundant.